Where there’s water, there’s life. Fun, can’t-wait-to-see-what’s-coming-next life. 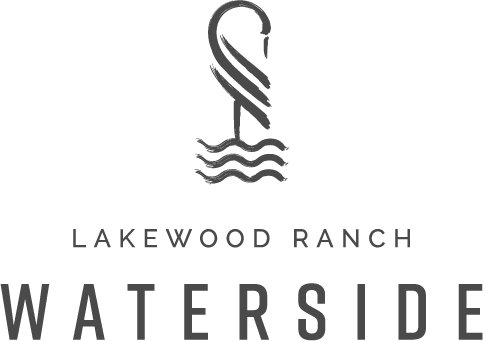 At Waterside, which is Lakewood Ranch’s newest village and its first in Sarasota. Life happens around seven pristine lakes with 20 miles of shoreline, acres of nature preserve, and a dynamic lakefront town center. Could it be your next great place? Come see. Homes from the $400s. A vibrant, lakefront town center planned for stylish shops, acclaimed restaurants and much more. Where kayaks and canoes are as welcome as strollers and bicycles. Community events, concerts, and festivals will be held in Waterside Park, an eight-acre peninsula. The Players Centre for Performing Arts, Sarasota’s oldest performing arts organization, is also making its home in a stunning new theater that will host nearly 400 performances a year. With styles of architecture inspired by the tropics — from the West Indies to the Keys to the Gulf — there will be a wonderful diversity of home types, comforts and styles to choose from. Boutiques and specialty retail shops, restaurants, spas and neighborhood-oriented professional services.